Samuel Snow began his BJJ Journey in 2006 not sure of what to expect and like so many…he was about ready to throw in the towel shortly after he began due to frustrations in training. Then, three months in…he found his groove and never looked back. BJJ was definitely not the conventional sport of choice for Snow and even his family was skeptical that he would stick with it. Fast forward to December 2014, all of Snow’s dedication and hard work paid off. He joined an elite group at Team Alliance. 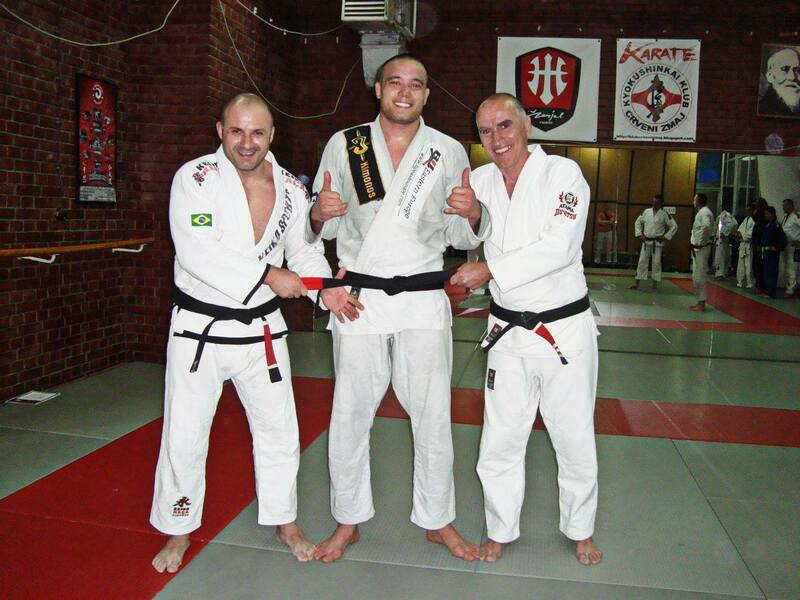 He was awarded his black belt by non-other than one the founding members of Alliance, Maestre Romero Jacare Cavalcanti 7th Degree Red and Black Belt. BJJL: Why BJJ? What does your family think? Samuel Snow: So many reasons… When I started, my parents didn’t really have a clue. Then, I kept doing it and I think it surprised them. Growing up, I had never really stuck to anything for very long… at least not more than a few years. Now, they love it because they see the value I bring to others lives- even my nephew just started training with me and he is 3 and ½ yrs old. BJJL: Talk to me about your BJJ lineage? Snow: I began BJJ in 2006 with Jose Reyes, when he was just a purple belt. My little brother and I began our journey together and I owe much of my motivation, commitment, and dedication to the art to him. After a couple of years at Reyes, we had Will Campuzano come to teach Muay Thai and MMA, along with some high school wrestlers come to train at Reyes. Even a Greco-Roman national champion from Peru came to train with us, Joe Morante. After that, I began training more no-gi, wrestling, and competing in MMA with Campuzano and Reyes for the first few years at purple belt. I won all of my first three amateur fights before taking a break due to a knee injury. After that, I moved to Ecuador to teach English and do some traveling, and began training under Fernando Soluco, an Alliance black belt under Fabio Gurgel, and Pioneer of BJJ in Latin America. I was in Ecuador back and forth for a couple of years, the whole time I had a friend teaching in my place back in Texas (in a small sub-leased space in a gymnastics facility). Soluco introduced me to the Jiu-Jitsu lifestyle as I understand it and practice it today. He showed me how to lead, to teach, and how to coach athletes as well as administrate at a gym. With him, I traveled all over Ecuador and was able to establish my roots with the Alliance team. Alliance has since become my family, and I have trained under each of the three main founders at their respective Headquarters in Brazil and Atlanta (Fabio, Gurgel, Alexandre Paiva, and Romero Jacare Cavalcanti). Soluco awarded me my black belt in Dec of 2014 by the hands of master Jacare while I was attending the kids instructor certification course at the headquarters in Atlanta. BJJL: To you, what equals a well-rounded fighter? How does one train to become the equivalent of a Keenan Cornelius? Snow: A well-rounded fighter is one who has an open mind, and is determined to train his weaknesses. To me, Jiu-Jitsu equals open-mindedness. BJJL: Is there anything you would like to tell a person that is starting out in MMA/BJJ/Boxing…etc? Some pearls of wisdom you wish you had known that would have prevented injury, aggravation, etc? Snow: The best wisdom I can give is to ask those at your gym, be receptive- listen, and try to learn from their experiences before having to learn the lessons on your own- the hard way. BJJL: The right gym, the right black belt, what advice do you have for people searching for the right environment to train in? Snow: For me, the best environment to train in is one that is extremely positive, open-minded, and peaceful. There cannot exist a lot of insecurity, egos, or attitudes. Snow: As far as BJJ rules, I would like all submission holds to be legal at black belt. I don’t think it works in the favor of the art and its evolution to make certain holds illegal. For instance, I believe a fighter would be less relaxed and less apt to stall in the 50/50 if heel hooks were legal. 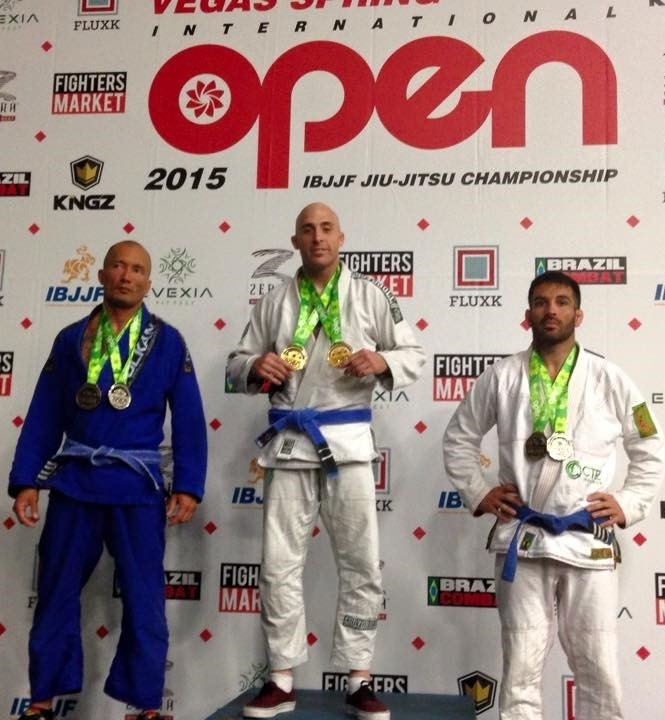 BJJL: There are so many BJJ competitions out there, a person could compete on weekly basis, how does one distinguish a good tournament from a bad one? Snow: A good tournament is one that fits your budget, is recommended by your professor/coach, and has an event that does not conflict with your calendar. BJJL: Do you have any women only classes? Snow: We currently do not have women only classes, but have been planning to open up one in the near future. BJJL: Do you have any thoughts about women only classes? Snow: I think women only classes are great for a gym if the demand for them is there at that academy. 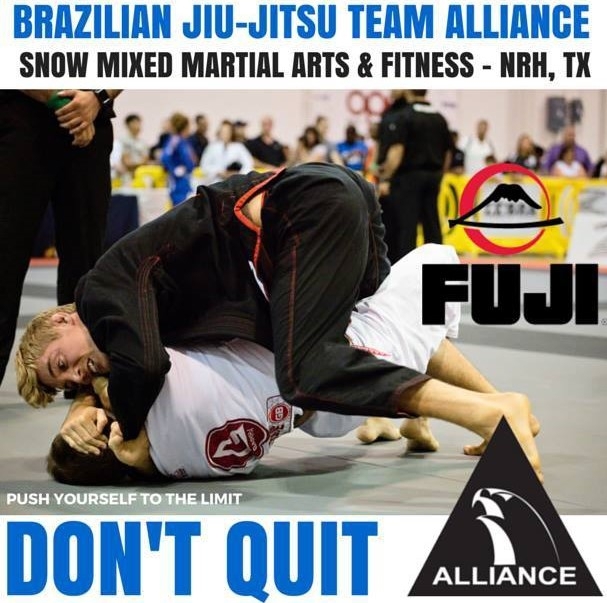 BJJL: Your Team or rather Team Alliance in TX as a whole finished strong in 2014 (you rcvd your blackbelt) Raul Jimenez won Master’s World’s for his division. Now you have started 2015 with a bang (won the Atlanta Open), and Jimenez won PANs for his division what do you attribute your success thus far to? Snow: I think my success is greatly due to the amazing people that I have been blessed with- from the world-class instructors and teammates (Soluco, Fabio Gurgel, Lucas Lepri, Jon Thomas, Jacare, Gigi, Iturralde bros, etc) to my hard-working and loyal student base, to my immediate family who has done nothing but support my dreams and aid me in building the gym business. BJJL: Do you have any regrets thus far? Training miss steps/setbacks, not following advice, etc. Snow: I don’t have any regrets in life. Everything happens in a unique manner and everyone’s journey is different for a reason. That is what makes life beautiful. Snow: My proudest moment for sure was promotion to black belt. Snow: My immediate goal is to expand our student base, especially our white belt group. The goals I have for this year is to compete in the no-gi pans and worlds, if finances permit. My long-term goals are mainly for my students… I would like to have several athletes win some major IBJJF titles and to have some very solid black belt instructors teaching and competing for our team. Beyond competition, I hope our gym will be a very positive and influential business and hub within our community. Snow: I would like to thank my parents, for supporting my dreams. They have always been there for me and I am so grateful to them for all the years of sacrifice and for also teaching me the value of hard work. They put me to work at 14 and employed me for many years at all three of their businesses and I learned so much and gained so much experience and skill that I rely upon to this day. BJJL: If you could go back and change anything about your journey, would you? Snow: If I could start over, I think I might want to have lost my ego and pride a lot sooner so that I could have built a strong foundation earlier on.